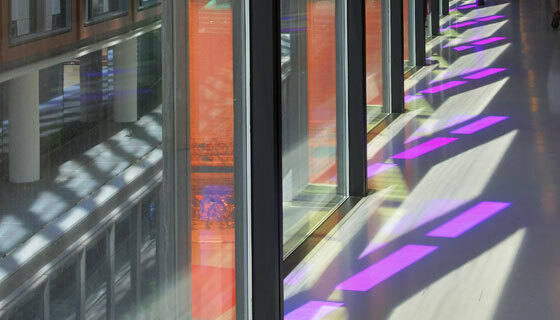 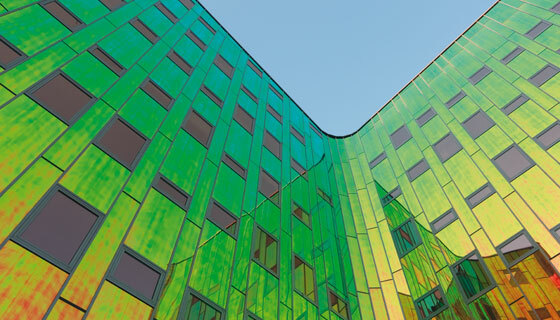 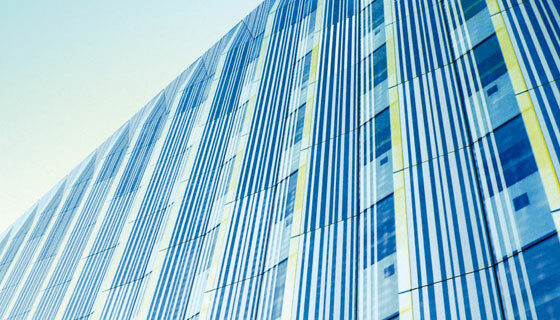 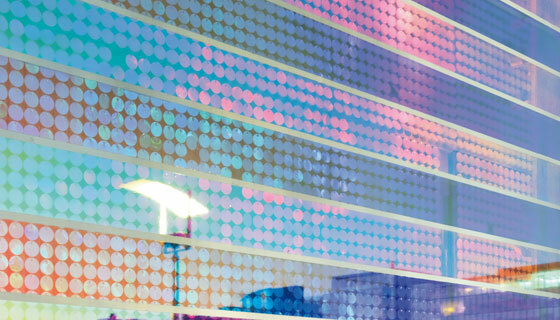 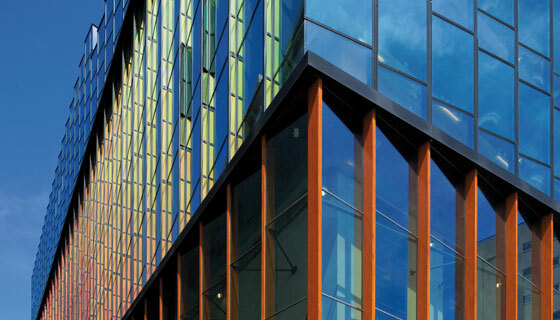 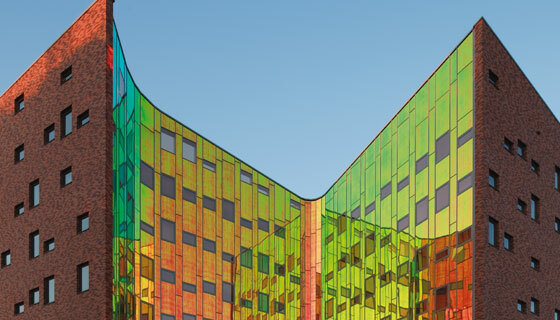 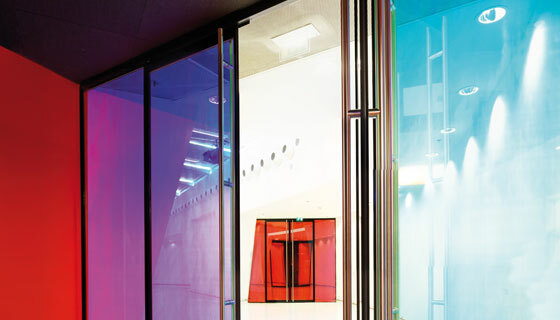 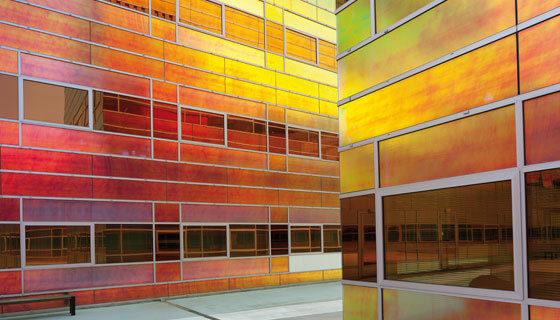 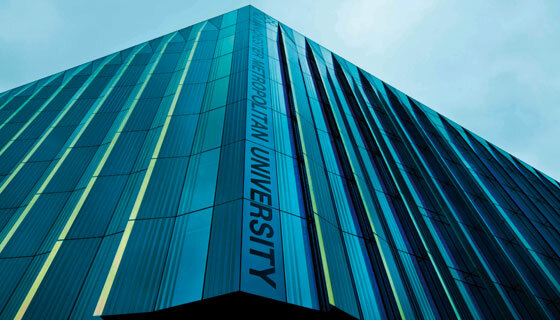 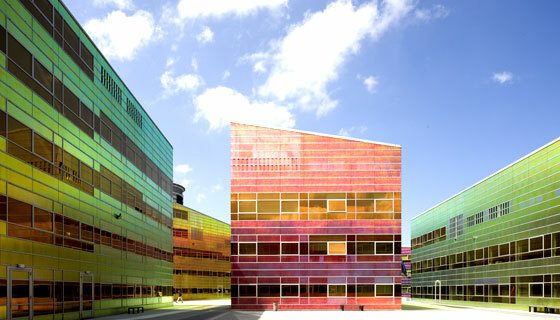 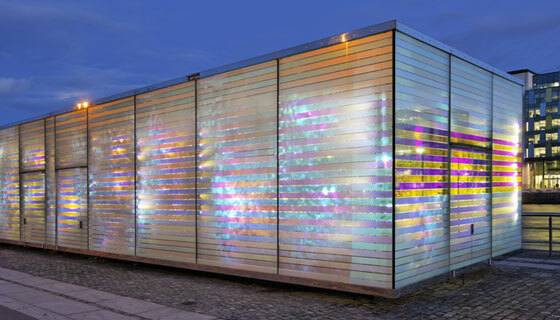 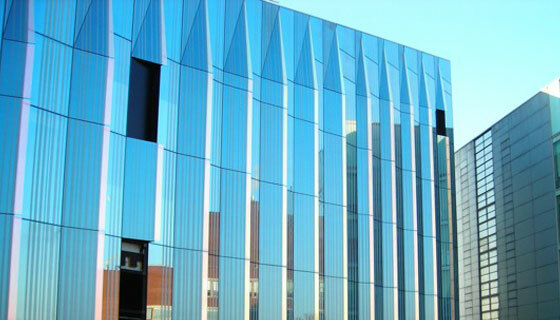 Produce stunning colour change effects in facades by using our chameleon CL dichroic film. 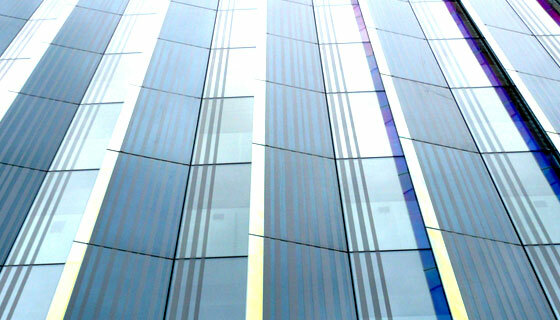 The film with a max. 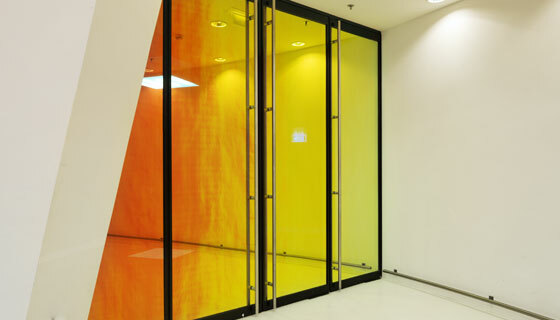 width of 1500 mm can be incorporated in insulating glass units, be laminated between 2 pieces of glass or be applied to the inner side of single glazing for rain screen claddings and other applications. 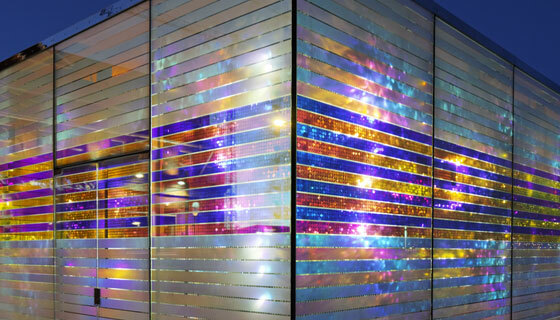 The dichroic effect can be adjusted in many ways depending on project specific requirements.